Regretfully baritone Johnny Herford has had to withdraw from the festival. We are very grateful to Nicholas Merryweather, who has agreed to step in. 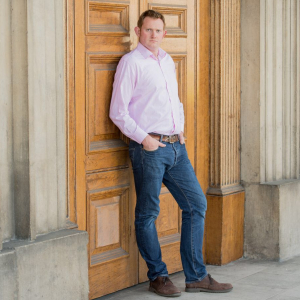 Nicholas has sung roles for the Royal Opera, Buxton and Longborough Festivals, Bampton Classical Opera and English Touring Opera and has performed as a soloist with orchestras such as the Hallé, Royal Northern Sinfonia, Bilbao Symphony Orchestra, Kristiansand Symphony Orchestra, Sofia Philharmonic Orchestra and the RTE Symphony Orchestra. He was a winner at the 2013 Concours International de Chant de Clermont-Ferrand and at the 2014 Armel Singing Competition in Hungary. 2017/18 sees Nicholas perform with Buxton Festival, singing the role of Reverend Gedge in Albert Herring, and make his debuts with Opéra de Lille and Opéra Comique, as Le Roi in Violeta Cruz’s new opera, La Princesse Légère. We are also sorry that bassoonist Connie Tanner is no longer able to join us; she is replaced by Philip Gibbon. 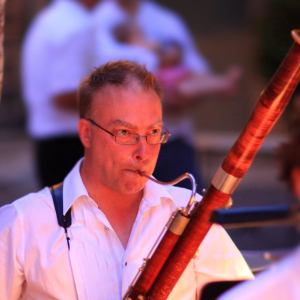 Philip plays Principal Bassoon with Garsington Opera and the Rambert Dance Company. He has a keen interest in chamber music, performing in concerts all over Britain and Europe, and has made numerous radio and CD recordings. We are grateful to both of these artists for joining us, and look forward to hearing them in Beverley.